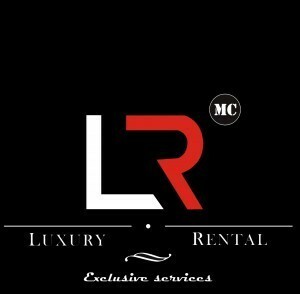 MC Luxury Rental is rental car company on the French Riviera (Saint-Tropez, Cannes, Nice, Monaco) to offer the latest model in the Rolls Royce family, the Cullinan. Named after the largest gem-quality rough diamond ever found, the new Rolls Royce Cullinan is for those who live a life of many facets, those who know that anything is possible. It is the perfect car to discover new horizons with ease as the Cullinan’s palatial suite allows you to be cosseted from the elements in pure luxury.From urban adventure to journeys into the wilderness, the Rolls Royce Cullinan makes luxury off-road travel a reality for the first time. Powered by the king of engines, the first Rolls Royce all-wheel drive moves with effortless poise. Even though this is a SUV, the first SUV in the brand’s century-long history, the Cullinan is first and foremost a Rolls Royce. 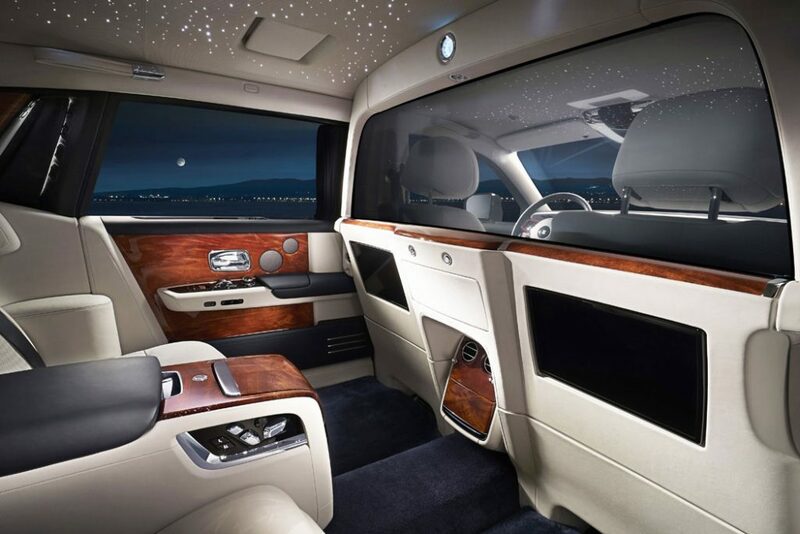 The interior is held to the brand’s standards with warm rich leather, real wood and spacious accommodation, making it the most luxurious interior in the market.The benefits of the Cullinan over the other Rolls Royce vehicles are primarily those of practicality. It offers 600 liters of trunk volume, leaving you plenty of space to carry your luggage for your stay on the French Riviera (hotel, yachts, villa, etc. ), or for your ski trip in the French Alps (Courchevel, Megeve, Chamonix). Further distinguishing Cullinan from mere luxury SUVs, the passenger compartment is separated from the luggage area by a glass screen. The occupants of a Rolls-Royce thus do not travel in the same space as their luggage; the partition reduces noise and has the further benefit that when the tailgate is open the passenger compartment remains at the optimum temperature, whatever the outside conditions. This luxurious car is available to rent for short or long term with, or without one of our chauffeur, so you can enjoy your holidays in uncompromised comfort. The lounge seating configuration accommodates up to three people in the rear, where they sit higher than those in front to enjoy the view from Cullinan’s large side windows and panoramic glass roof. The on-board technology is, as you’d expect, comprehensive. It includes the latest navigation and entertainment systems, a high-resolution head-up display and a four-camera system with panoramic view, all-round visibility and helicopter view. You don’t have to worry about safety when renting the Cullinan as its safety systems include night vision and vision assist; alertness assistant; active cruise control; collision warning; cross-traffic warning, lane departure and lane change warning. A Wi-Fi hotspot, five USB ports and wireless phone charging keep everyone’s devices and smartphones connected and charged, so you can enjoy your holidays while staying connected. When pressed, the off-road button, a first for Rolls Royce, unleashes Cullinan’s full off-road capability. The all-wheel drive technology provides uninterrupted torque to all four wheels for precise, reliable performance on dry, wet, snowy or icy surfaces, offering you the absolute freedom. Whether you want to discover the luxurious world of Rolls Royce for the first time, or if you want to maintain the same comfort that you have at home while you are on holidays, the Cullinan won’t disappoint you. At 5.3-metre-long, the Cullinan is the only SUV with the glamorous automatic coach doors. But even though it stands high above the road, the car’s suspension will lower by 40mm to have easy access in and out of the vehicle. The 6.75-liter, 563 horsepower. Twin-turbocharged V12 will power the Cullinan up to a top speed of 155 Mph. .The Rolls Royce Cullinan is available now in our luxury car rental agency MC Luxury Rental.Our team of professionals in car rental puts at your disposal its tailor-made services. With many years of experience, our company MC Luxury Rental based in Monte-Carlo, Monaco makes a point of honor to satisfy all of its customers (individuals or professionals).Our logistics and various agencies allow us to deliver the Rolls Royce Cullinan from our rental fleet in all Europe (Austria, Spain, France, Italy, Switzerland).For private trips or business trips, rent a Rolls Royce Cullinan and opt for simplicity with quality service.Contact us now to make your Rolls Royce Cullinan rental reservation at a luxury winter sports resort in France such as Courchevel 1850, Chamonix or Megève. Do you prefer Swiss ski resorts? We organize the delivery of your Rolls Royce Cullinan at the foot of your chalet in St Mortiz, at the Gstaad altiport, or in front of your luxury hotel in Zermatt. If your favorite destination for your holidays is Italy, go to the Cortina D’Ampezzo station. During the summer season, prefer to rent a Rolls Royce Cullinan on the French Riviera. This part of the South of France offers so many surprises. From Saint-Tropez, capital of the jet-set to the Principality of Monaco, through Nice you will be conquered. Take advantage of global opportunities such as the Cannes International Film Festival or the Monaco Formula 1 Grand Prix to rent a Rolls Royce Cullinan.For an unexpected stay, hire a Rolls Royce Cullinan in one of Europe’s prized cities. Opt for the delivery of the vehicle in an international airport such as Milan-Malpensa, or Genoa-Christopher Columbus, you can easily go to the luxury seaside resorts of Italy: Portofino and Forte dei Marmi. Do you prefer the Spanish coast? Book a Rolls Royce Cullinan at Barcelona-El Prat airport or Malaga-Costa Del Sol, you will reach Marbella safely at the wheel of your luxury fighter.